How to remove Android FRP on fastboot mode by using the Android fastboot FRP reset tool. Use this tool you can unlock FRP and hard reset without any flashing box. You can done your work just one click easy process. Support many Android Smartphones. 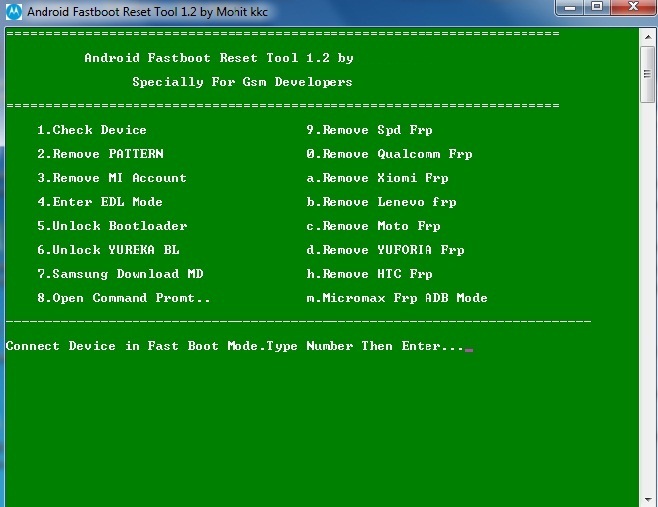 This Android Fastboot Reset Tool working many Android smartphone devices. (Android Fastboot Reset Tool V1.2bY) Supported CPU Type MTK (Media Tek Cpu), SPD (Spreadtrum CPU), Qualcomm CPU, Xiomi, Lenevo, Moto, Yuforia, HTC, Micromax and more. Direct Download link no add link. Click and download very easy process.